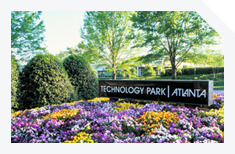 Formed through the merger of two of Atlanta's most respected real estate firms and with a combined 135 years of experience, TPA Group is a private real estate investment, acquisitions, and development firm whose principals have acquired and developed in excess of 25 million square feet and 27,000 acres - all valued at more than $5 billion. Our proven strategy transcends the market cycle. Our extensive relationships and fluency in real estate and capital markets ensure we have the information necessary to make timely and informed decisions. Pairing proven ability to anticipate critical market trends with a disciplined, methodical approach enables us to consistently find and seize new opportunities and deliver consistent, profitable outcomes. As an operating or investment partner, you are assured of a relationship-focused team that demonstrates the highest standard of diligence, integrity, and execution. We tackle each opportunity with deliberate thought and an acute sense of urgency - never content to wait for the market, but instead forcing the outcomes we envision.